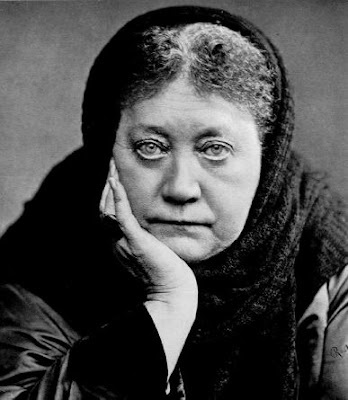 Blavatsky was the founder of Theosophy, being incarnated she channeled Spirits of Light, however as it often happens to volatile mediums, her mental decoder was damaged by the spirits of error and she distorted the messages of Light she received previously. If she had had “her feet on the ground” this wouldn’t have happened. This is precisely the mistake of Theosophist; they don’t separate the wheat from the chaff. Ruanel: Hello. Here I am with a lot of joy for the perspectives of this session, because I know that you have scheduled very important questions that will give place to undiscovered revelations that not even my vessel knows. Interlocutor: Fine, now I’m a little anxious before beginning. Do you agree if we start already? Interlocutor: I have a lot of confusion with Madame Blavatsky, because some things she said are tremendously certain and even very advanced for her time, but others are plain and simply nonsensical. The first question I want to ask you is: What kind of mediumship she had? Ruanel: In the beginning she psychographed, then she became a speaking medium the same as this vessel. Interlocutor: Okay, the second question is if she at some time met the Masters of Light Morya, Koot-Humi or Dwjal Khul personally? Interlocutor: Were they inventions of her, then? Ruanel: In the end her mental decoder didn't work well and then she mixed realities with fantasies. Interlocutor: Just the same that happened to Gurdjieff? Interlocutor: Did she hallucinate to the point of believing that she was face to face with those Masters of Light? Interlocutor: Did her decoder make her perceive Morya as if he were real? Ruanel: Correct she never contacted personally with this ascended Master. Interlocutor: But then when Blavatsky went to India who did she contact with? Ruanel: She communicated with several gurus, but not with any Master of this level. Interlocutor: In that time Were Morya, Koot-Humi and Djwal Khul incarnated? Ruanel: Yes, they were incarnated. The ascended Masters have embodied more than once in mission performing healings, working for the welfare of mankind. There are ascended Masters that have embodied doing transcendent works, but their facts were not recorded in history. If an ascended Master embodies in the middle of the African territory, for example, even though he or she saves hundreds of lives he may pass unnoticed if the facts don't transcend through the news. Interlocutor: And has this happened many times? Ruanel: Yes, of course. If they embody in areas far from civilization, it is obvious that their works won't transcend. Interlocutor: Then, Blavatsky went to India and she didn’t contact with Morya, Koot-Humi and Djwal Khul at all? Interlocutor: You recently mentioned that her decoder made her hallucinate and she believed she had an interview with them. The logical question is: Was she “helped” by the spirits of error? Ruanel: When a person has his mental decoder under bad condition, the spirits of error always take advantage of it. But this doesn’t demerit Blavatsky, because she was the first person who characterized to the Absolute (Eon) just as he is. Interlocutor: Did she always have her mental decoder damaged? Ruanel: No, because at the beginning her decoder worked fine. Interlocutor: Was she most of her life a speaking medium as Jorge Olguin? Ruanel: No, most of the times she psychographed. During a very little time she was a speaking medium, but since she was very sensitive, her decoder was damaged at once, within few years. Interlocutor: Was the mission of Blavatsky accomplished when she embodied, even though she made mistakes? Interlocutor: One of the things she said was that the physical sun was the body of the Logos. It is like saying that the territory of the United States is the physical body of the president Bush. Ruanel: What Blavatsky said is a total aberration. Ruanel: What happens is that there are alleged Masters who believe literally what alleged Masters allegedly dictate to them. If they perceive that the message says that the Sun doesn't exist, but rather it is a black hole, they don't question it and they accept it without analyzing it to the light of reason and without considering at least in the minimum thing that they could have perceived mistakenly their Master's concept. Ruanel: It happens the same thing with Psychoanalysis in occident where the followers of Sigmund Freud accept it and keep saying the same thing - and it has already passed more than a century - without reasoning, without questioning, without debating it. Interlocutor: It is clear. Were the three Masters that I mentioned embodied at the same time? Ruanel: In a certain moment, yes. Ruanel: No, they were not together, and they didn’t even know of each other. Interlocutor: Didn't they know each other? Ruanel: No, because in the physical plane, As you already know, reincarnative memory doesn't exist and these Masters, once incarnated, they didn't know about the existence of the others. Interlocutor: I had forgotten that detail. Obviously they didn’t know anything about Blavatsky. Ruanel: No they didn’t have to. How would they know it without reincarnative memory? Each one of them embodied with a specific mission in a certain place and they accomplished their mission without knowing about the others. Interlocutor: I find it a little strange. Ruanel: I’ll give you an example: Let’s suppose that Jesus and Siddharta, two of the most important Entities on the planet Earth agree to embody in certain place and later on their reincarnative memory takes a bad turn. The result is that they don't know each other and they never meet. Interlocutor: And if they embody as siblings? Ruanel: Obviously they will meet, but they may not know who the other is, even more they might not get along with each other, because the physical plane, as I always said, it’s a enormous gravitational well. Interlocutor: Now I understood perfectly. Did Blavatsky go to India to look for these Masters? Ruanel: Sure, because when she was very young, she received their mediumship messages. Interlocutor: But Didn’t she find them? Ruanel: No, she didn't find them personally, but as I already said, her damaged mental decoder was also influenced by the spirits of error, she hallucinated and she believed she was face to face with them. Interlocutor: Then, in the physical plane there was no encounter among them at all. Ruanel: Of course, because they didn't know it. Interlocutor: Is the category of the hallucinations of Blavatsky similar to those hallucinations of Adamsky, Billy Meier and Siragusa? Ruanel: Yes, their cases are similar to her case. In all the cases there was a deterioration of the mental decoder and the influence of the spirits of error. I want to clarify something: many people who ask your group believe that the spirits of error have some power. They don’t have any power, the embodied being is the one that gives them that power if the mental decoder is deteriorated and the person has Ego, this circumstance closes the doors to the Spirits of Light and opens the door to the spirits of error! Ego also enjoys making that kind of tricks. Interlocutor: Fine, the point is clear. The aberrant idea that the physical sun is the body of the Solar Logos was a transmission of the spirits of error exclusively? or Did her mental decoder distort the concept transmitted by the Spirits of Light? Ruanel: Let’s suppose that my vessel were weak in his decoder, if at the moment he’s channeling me, a Spirit of Light of the 5º plane, a spirit of the error of the plane 2º makes interference, a distortion of the concepts that I am sending can take place. It is the same thing that happens with a radio that had little power and its transmission was interfered by another radio signal with more power. The result is that this last signal will win. Interlocutor: The explanation is clear, I understood perfectly. I read all the volumes of the secret Doctrine, and now I’d like to ask you who were those that dictated them to her? Ruanel: Thetans of several Masters of Light who were embodied. Interlocutor: Morya, Koot-Humi and Djwal Khul? Interlocutor I remember and I compared it with the new teachings of yours, in that work Blavastky wrote truths mixed with nonsense. Ruanel: Correct and that is the true danger, because there are people that understand about esoteric topics, and they know that certain things she says are true, but they can believe naively that the other things she said are also true. Interlocutor: And they end up swallowing garbage, like that issue of “the sacred planets”, for example. Ruanel: Correct. The physical plane doesn't have to do with the spiritual plane. Many people are truly interested on deepening about the spiritual world, but unfortunately they mix the physical things with the spiritual things, and so they believe in amulets, they believe in talismans, they believe in sacred waters. There are things that can be true because there are energy channelings, but they don't take it as energy channelings but as “power of prayers” as “healing powers”, and other nonsensical issues that are nothing more than a very childish vision of reality. Interlocutor: I understand. Although I believe that it goes without saying, because the answer is obvious. Were All the movements of objects, tables and chairs that took place around Blavatsky made by the spirits of error? Ruanel: Always the spirits of error making focus. There is nothing more than that. Interlocutor: How old was she when her mental decoder began to be deteriorated? Ruanel: She was very young, before her forty years old. Blavatsky had written very good works, but she corrected them later on when she already had her decoder damaged and she deleted explanations that were correct replacing them with others that were distorted. Interlocutor: So due to her damaged mental decoder she damaged her own works. Interlocutor: And what happened to Alice A. Bailey who received the same nonsensical ideas and who added others things from her own? Ruanel: It happened the same thing, since she also had Ego and a so big dependence as a disciple of the Tibetan that all he allegedly transmitted to her, she took it blindly without reasoning the information first. If she had thought a little, she would have realized that her decoder was receiving the messages in a distorted way. Interlocutor: Concretely, she received truths, but without realizing it she interpreted the information mistakenly as if they were messages of Light. Ruanel: Correct. And this happens often to the channelers. One of Spirits of Light who was more damaged with the erroneous interpretations has been the Master Saint Germain, an entity of the 5º spiritual plane and a member of the Planetary Hierarchy. He was misinterpreted from the beginning, because they related his words with the minor god of the Old Testament, Yahweh. Interlocutor: Do you mean to the famous phrase "I am"? Ruanel: Correct, even now 99% of the metaphysicians follows the readings of Saint Germain, but with such fanaticism, and creating a behavior so self-centered with that “I am” on his followers that if they don't make him lower of plane it is simply because he doesn't have anything to do with those erroneous interpretations. This sublime spirit is permanently sending them Light in their causal body so that they avoid thinking in this way, but the self-centered fanaticism of the incarnated beings makes them be close-minded and they don't listen. Interlocutor: Has the Master Saint Germain really communicated with some of his followers? Ruanel: Yes, he has communicated with the same followers of the line of Blavatsky. Interlocutor: With Conny Mendez, for example? Ruanel: Yes, of course, but he has been distorted totally. The True Saint Germain doesn't have anything to do with the whole Metaphysics that this person has developed. Saint Germain spoke of Love, he spoke of Unity. When he said Unity he meant to that Everything is in Unity and the Unity is Everything, something very similar to what Tar said, remember that Tar embodied as Hermes. Saint Germain was well-known by the topic so self-centered of the “I am”, which is far from the truth he wanted to transmit. Interlocutor: I wonder why a Master of Light communicates with somebody that distorts his messages. Ruanel: What happens is that when the channelers begin receiving the messages they have their decoder in good condition, but the mediums are so volatile. Ruanel: No, not inconstant, volatile, because inconstant means changing and what I mean is that they are not with their feet on the ground. Ruanel: Exactly. It is very important that medium be “on the ground” because the physical plane injects them good sense and to a volatile being that good sense is attached with pins. That’s why after a short while the medium loses the correct notion of reality. It’s not a fault of the Spirits of Light the nonsense of the medium. Interlocutor: It’s a pity that this happens because it hinders our mission. Ruanel: It’s important to clarify very well all that Blavatsky has said, because every day there are more people who read her writings, and although most of them will think that what we say is foolishness, very few of them will think the opposite, and it is already an enormous merit and I mean to the merit of Service not to the merit of ego. Interlocutor: I had interpreted like that. Did the spirits of error also make hallucinate to Conny Mendez like Blavatsky? Ruanel: Yes, because they are always on the prowl to incarnated beings, waiting that their mental decoders weaken and then influence against them. Interlocutor: Do the Spirits of Light leave when they see that a channeler is a prey of the spirits of error? Ruanel: They leave, is a way of saying, because in fact they are always sending Light, Harmony and Good sense in their causal bodies. But they are not listened because when the Ego takes control, automatically “closes the curtain”, saying it with a phrase very common in the physical plane. The medium then is deaf to the messages of the Entities of Light and then he finds more coherent what the spirits of the error transmit to him. Interlocutor: All of this has been properly clarified Do you have something more to say? Ruanel: No, What I said is everything. This entry was posted at Saturday, October 10, 2009 and is filed under Who are they? . You can follow any responses to this entry through the .